Storey Publishing, LLC, 9780882666235, 128pp. Transform your backyard into an avian wonderland as you build a variety of squirrel-proof birdfeeders, shelters, and baths that are sure to attract all of your favorite feathered friends. Edward A. Baldwin provides clear instructions for more than 25 easy-to-make projects that include a Juice Bottle Feeder, a Pie-Tin Birdbath, and even a Swiss Chalet Birdfeeder. You’ll soon have an up-close view of the impossible mechanics of hummingbird flight as you enjoy afternoons full of cheerful chirping. 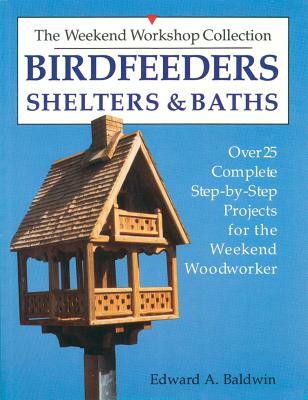 Author Edward A. Baldwin is author of a syndicated newspaper column called “The Weekend Workshop.” He has also written over 25 books, including Storey’s Birdfeeders, Shelters & Baths.